Do y’all know what day it is?! (Besides Wednesday of course!) IT’S THE FIRST DAY OF SUMMER! 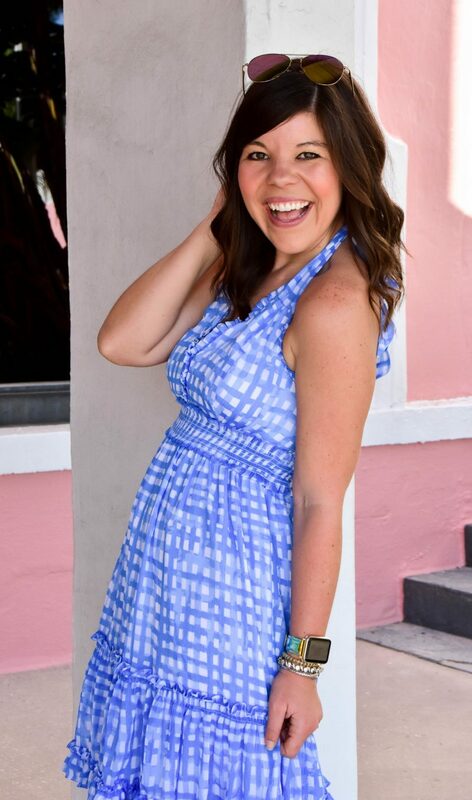 There’s just no way around it… this Florida girl is thrilled that my favorite season is here! Give me all of the long days, longer nights, summer parties, picnics, warm weather & ocean breezes… I’m pumped! The older I get though, the more I realize and understand the true importance of sun protection. My dad actually had some skin cancer removed a few years ago, which means I know my risk is even higher than average. But that’s where Cabana Life comes to the rescue! 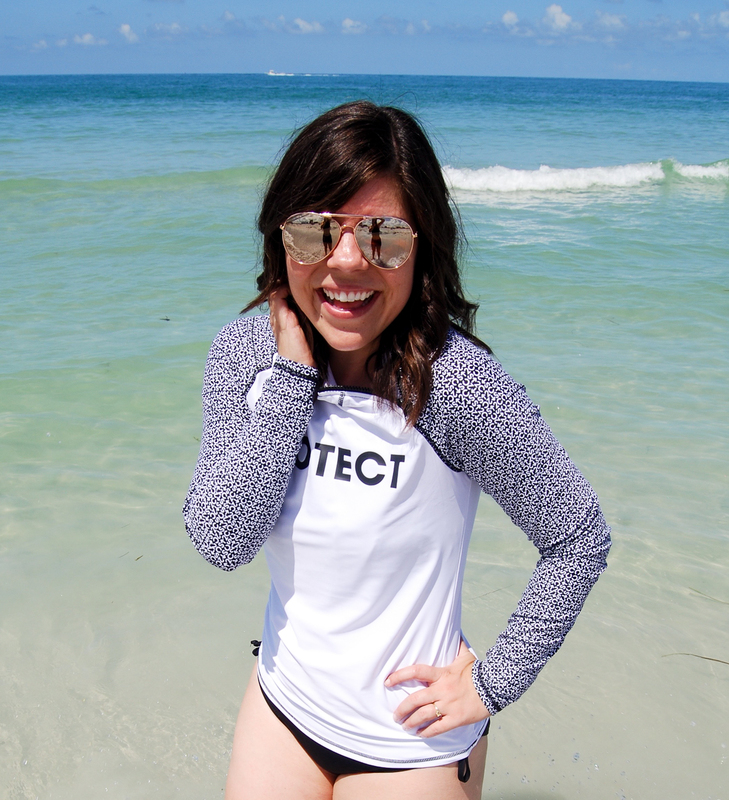 Every piece of the Cabana Life line contains SPF50 protection- which means I can splash in the water and soak up the sun knowing that I’m protected! 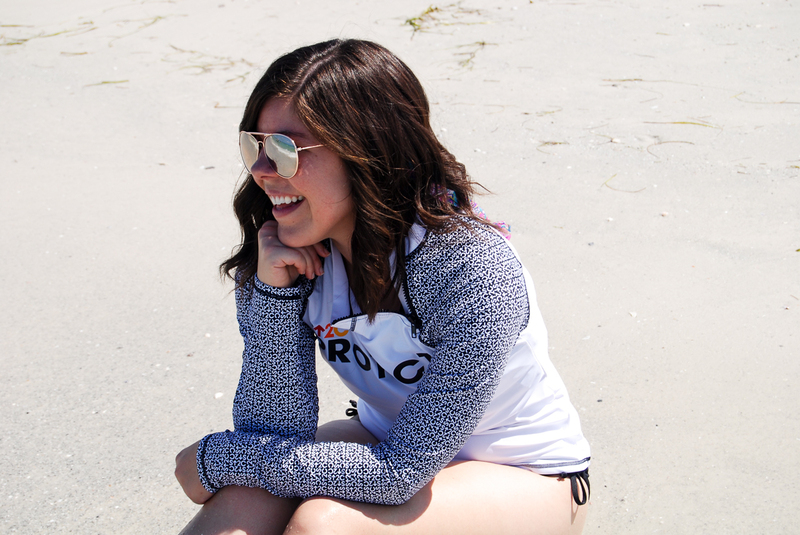 I was worried that being “spf” clothing would mean the fabric was stiff or uncomfortable- but this rashguard is literally SO comfy & basically as soft as my pjs! I loved wearing it on our beach adventure! But my favorite part of the piece? That a portion of the proceed benefit Stand Up to Cancer which is raising awareness about sun protection and funding cancer research. Talk about a cause worth investing in! Don’t forget to protect your lips too! Previous Post Weekend Recap: All the Girl’s Nights Out! 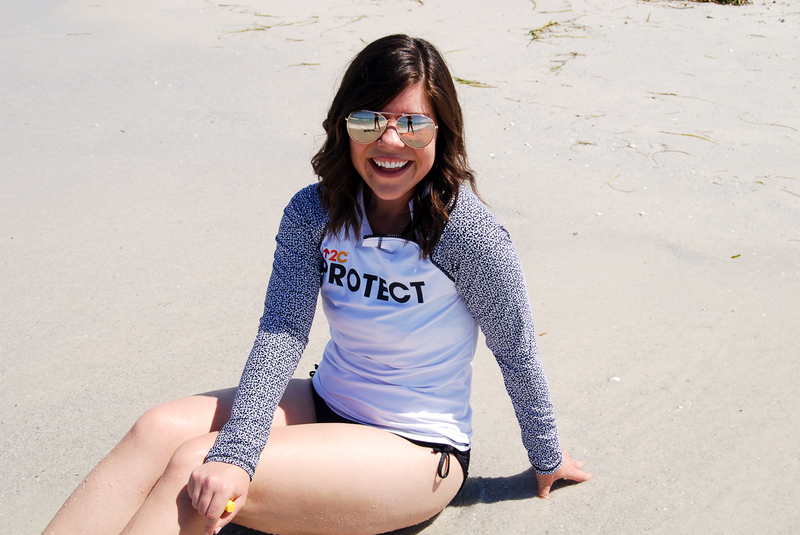 I love that the rashguard supports a good cause! Enjoy your event tonight 🙂 Wish I lived closer so I could come! 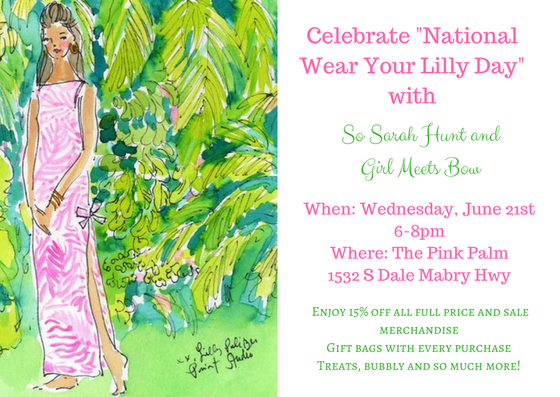 Love a good clothing item that supports a good cause! Have fun tonight – definitely share some IG stories – wish I lived closer!! What an awesome line! This is perfect to throw on when you're spending the whole day at the beach and want some extra protection! What a great cause! 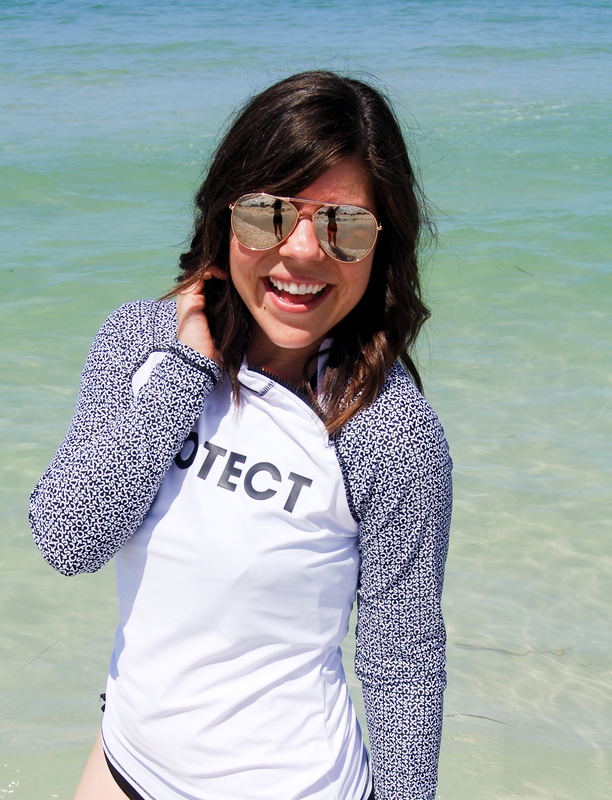 Rash guards are so great for protection against those harmful rays, and this one is too cute! super cute-I really want one of these swim shirts so great! What a great brand! Protecting your own skin while also raising money and awareness for cancer! Win win! These photos are great! Summer definitely calls out for more skin protection so this was very helpful. LOVE this mission and post, Gentry! It's so important to fight cancer when we're in the sun and glad that Cabana Life supports this great cause. It's also so important to get annual skin checks!